Two groups of a man and woman looking at different objects. 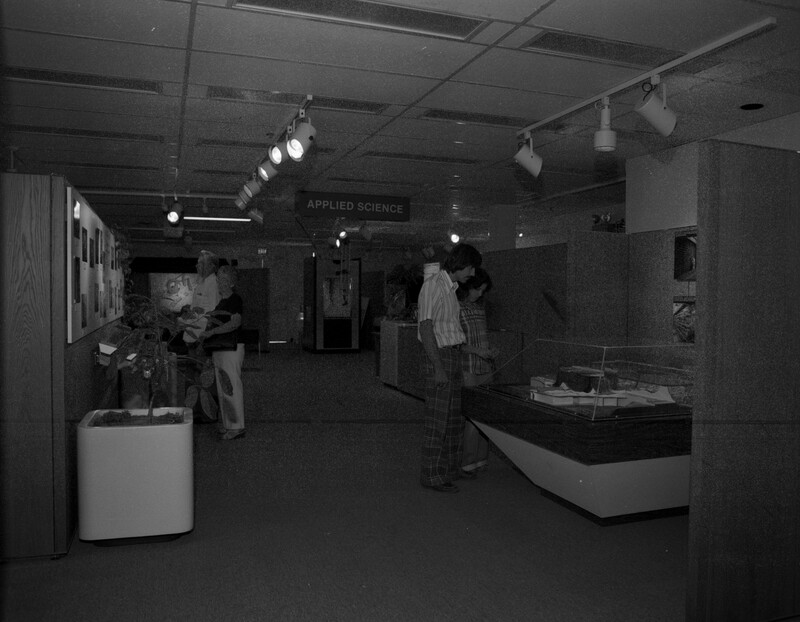 Man and woman on left side are looking up at objects hanging from the side of wall, man on right side are looking at a small scale model of an area." 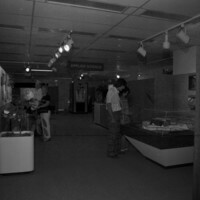 “People at Applied Science ,” Hanford History Project, accessed April 22, 2019, http://www.hanfordhistory.com/items/show/1684.